Pedro Pedrazzini was born on November 11, 1953, one of seven children, in Roveredo, Ticino, Switzerland. His father was a physician and his mother a painter and homemaker. Pedrazzini spent the first 18 years of his life growing up in a culturally rich home where his parents collected art and sponsored many art events. He also read many books about sculptors and painters, especially 20th Century Italian artists like Morandi, DePisis, Modigliani, De Chirico, Casorati and Marino Marini, a family relative. Shaped by this inspirational art circle, Pedrazzini began painting as a young boy and he never stopped, filling notebook after notebook while accompanying his physician father on home visits. When he was 20 years old, Pedrazzini spent a year in London visiting art galleries and museums while earning a living with his painting. It was at this time he committed his life to art. 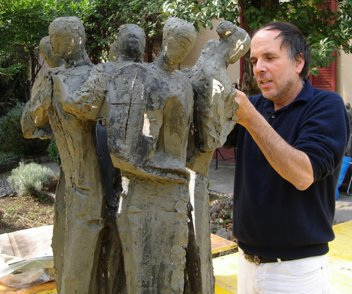 After returning home in 1976, Pedrazzini attended the Accademia di Belle Arti in Florence where he studied under painter and sculptor, Oscar Gallo. Pedrazzini showed special interest in the art of the Rinascimento or Renaissance; he also met many artists and developed many new friendships, especially with Mino Maccari, who was working in Forte del Marni at the time. From 1977 to 1980, Pedrazzini attended the Accademia di Brera in Milan. There the sculptor Manfrini, the painter Bodini and the art historian Raffaele De Grada became his mentors. He soon dedicated himself to the art of sculpting and began visiting the studio of Remo Rossi (1912–1982) in Locarno, Italy. At that time, Rossi was one of the most celebrated and famous Swiss artists who played an important role in Swiss culture. Pedrazzini spent the next four years as an apprentice to Rossi, developing his own personal style. He learned the fine details of sculpting and soon created his own sculptures and cast them in the Perseo foundry in Mendrisio. These were crucial years for Pedrazzini’s development, years of working next to a true personality. Remo Rossi was not only an important patron of the arts in Switzerland; he was also an internationally well-known sculptor. It was from Rossi that Pedrazzini also learned the art of engraving. Remo Rossi’s studio was an important gathering place for many artists, and Pedrazzini worked occasionally with other well-known artists like Hans Richter, Italo Valenti, Max Bill and others. Pedrazzini also got to spend time in their workshops, and he was especially fond of his visits with Giovanni Genucchi, and he was fascinated by Genucchi’s simple love of nature and his connection to the land and farm life. 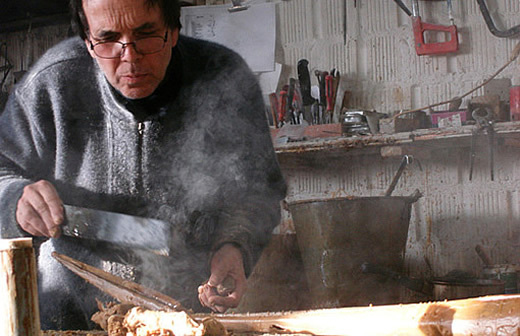 In 1976, Pedro Pedrazzini opened his own studio in Montedato near Riazziano in Ticino where he dedicated himself to sculpting, painting and copper plating. In the 1980’s and in the 1990’s, Pedrazzini developed close associations with art galleries, art institutions and private collectors in Switzerland and especially in Germany. Today, Pedro Pedrazzini lives and works in Minusio on Lago Maggiore in Switzerland. 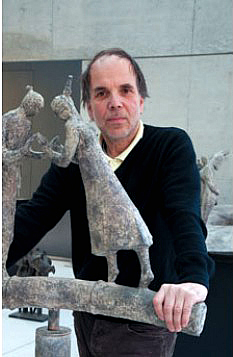 His current work expresses itself in bronze sculptures and reliefs focusing on the shape of the body and its relationship to its surroundings and history.